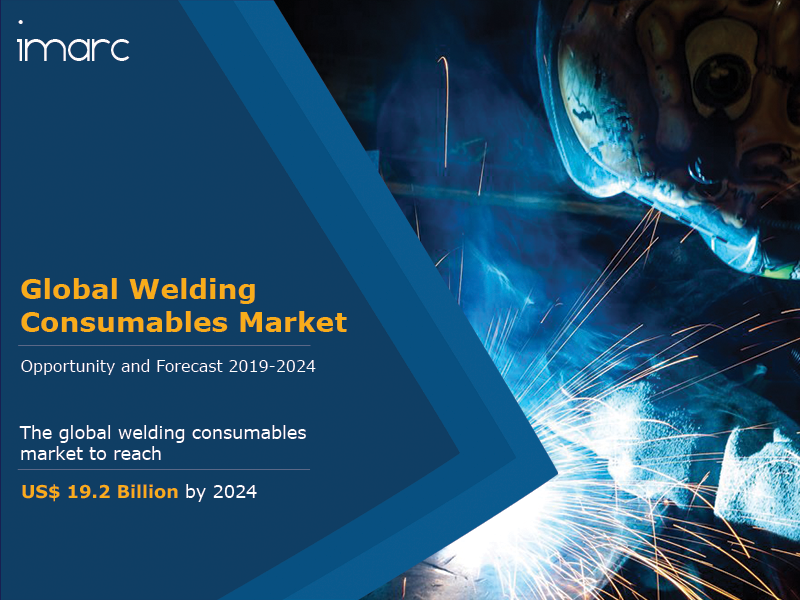 The global welding consumables market was worth US$ 13.9 Billion in 2018. Welding consumables refer to flux and filler metals that are used in the process of welding. Filler metals are melted to create a strong joint between two metals, whereas flux prevents the oxidation of hot metals during this process. Some of the raw materials utilized in the production of welding consumables include nickel, copper, rutile, ilmenite and aluminum. These consumables ensure cost-effective welding, assist in safeguarding the molten weld from contaminants present in the air and prevent the formation of porosity in the weld pool. As a result, they are extensively employed in the construction, automobile, energy, ship building and aerospace industries. In the automobile industry, welding consumables are used in the production of lightweight and high-quality vehicle parts. Improvements in the safety features of vehicles, along with evolving automobile designs, have escalated the sales of automobiles, thereby bolstering the growth of the welding consumables market. Moreover, the introduction of several development and housing projects has provided thrust to the construction industry in emerging economies such as China, India and South Africa. Some of the other factors that are stimulating the growth of the market are industrialization, urbanization, rising foreign direct investments (FDI) and technological advancements. The market is further projected to reach a value of US$ 19.2 Billion by 2024, expanding at a CAGR of around 6% during 2019-2024. At present, stick electrodes represent the most popular product type, holding the largest market share. These electrodes are primarily designed for mild and low alloy steel welding. Amongst these, arc welding accounts for the majority of the market share, representing the most popular type of welding technique. On a geographical front, Asia Pacific enjoys the leading position in the market on account of the rising construction activities in the region. The competitive landscape of the welding consumables market has also been analyzed in the report. Some of the leading players operating in the market are Voestalpine AG, Colfax Corporation, The Lincoln Electric Company, Air Liquide, Hyundai Welding Co., Ltd., Obara Corporation, Panasonic Corporation, Illinois Tool Works Inc., Denyo Co., Ltd., Fronius International GmbH, Tianjin Bridge Welding Materials Co., Ltd., Kemppi Oy, Arcon Welding Equipment, etc. How has the global welding consumables market performed so far and how will it perform in the coming years? What are the key regions in the global welding consumables market? Which are the popular product types in the global welding consumables market? What are the various welding techniques in the global welding consumables market? What are the major end-use industries in the global welding consumables market? What are the various stages in the value chain of the global welding consumables market? What are the key driving factors and challenges in the global welding consumables market? What is the structure of the global welding consumables market and who are the key players? What is the degree of competition in the global welding consumables market? How are welding consumables manufactured? 14.3.5 Hyundai Welding Co., Ltd.
14.3.8 Illinois Tool Works Inc.
14.3.11 Tianjin Bridge Welding Materials Co., Ltd.